Riding in a van up Washington Road just as dawn was breaking, 15-year-old Elise Deschaine leaned forward in her seat as the vehicle neared the entrance to Augusta National. This time, however, Elise was able to make the trip down Magnolia Lane. 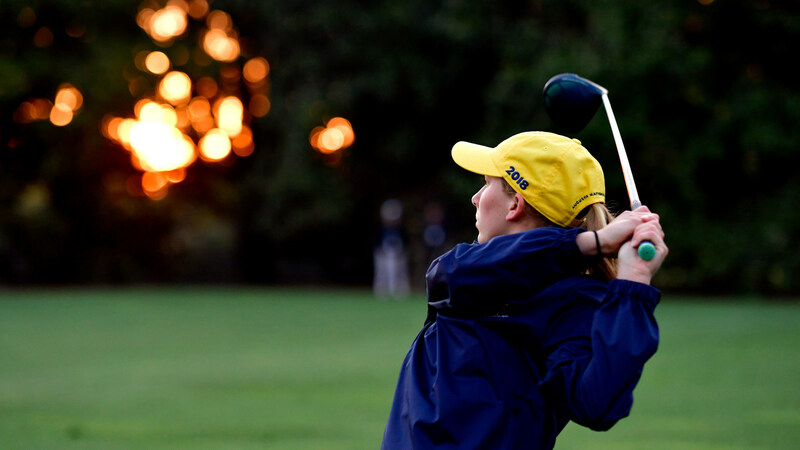 That’s because she was one of the National Finalists in the 2018 Drive, Chip and Putt Championship, and the 9th-grader could hardly contain her excitement as she headed to place where the Masters Tournament has longed been played – and where she would be competing in the fifth-annual DCP. Elise Deschaine during the Drive, Chip and Putt National Finals at Augusta National Golf Club. All three then started craning their necks to gaze through the magnolias and across the closely cropped grass on either side of the lane. “Look at that, look at that!” Elise exclaimed. Mackenzie, who has scoliosis like her hero, LPGA Tour standout Stacy Lewis, and has to wear a back brace 18 hours a day, was equally impressed with the flora. “We don’t have trees and plants like this back home in Arizona,” she said. Even her father, Jim, was pumped. Mackenzie McRee (Girls 14-15 division) watches a drive while warming up for the 2018 Drive, Chip and Putt National Finals. 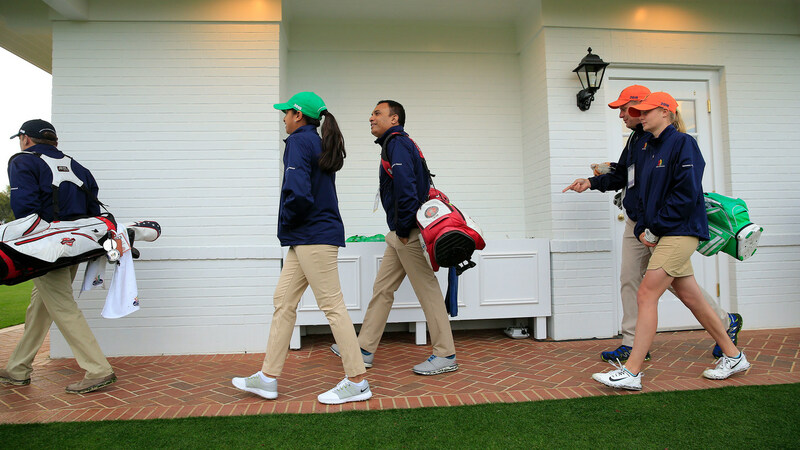 Competitors in the Girls 14-15 division, including Megha Ganne and Brooke Biermann, walk to the Tournament Practice Facility prior to the 2018 Drive, Chip and Putt National Finals. Everyone in the van was wound up when it embarked on the trip from the downtown hotel to the club Sunday morning at precisely 6:50 a.m., the first of what would be several waves of shuttles for competitors for all eight divisions. The trip to the club took only 15 minutes, and after driving down Magnolia Lane and then swinging around a road to the left of the Clubhouse, the vehicle stopped and the competitors jumped out, stopping for a moment to look around and absorb where they had landed before gathering their clubs and heading to the practice area. The ride was over, but their trip had just begun.